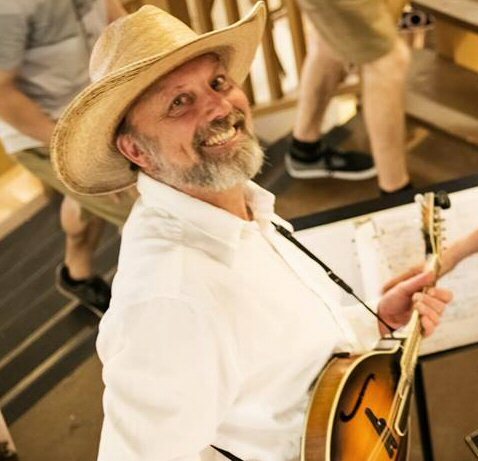 I play mandolin and sing, and have performed regularly for 20 years as the frontman of a variety of popular acoustic bands in the Seattle region and as a street performer 10 years prior to that. Since moving to Southern Oregon, I formed a duo called Blades of Grass with guitarist and singer Kathryn Casternovia. Our repertoire includes bluegrass, 1940’s swing standards, Country swing, Cajun, Tejano, Gypsy Jazz, Vintage Country, Texas Swing, Jazz Standards, original compositions and more. We have been performing in the Rogue Valley for 6 years, and frequently expand into a trio or larger band adding stand-up bass, dobro, and fiddle. I have also been performing as a solo act in Southern Oregon for the past 9 years and am known for having a wide repertoire of songs and skill in a variety of musical styles; Americana & World genres. I am also available to teach mandolin, guitar and voice lessons.